We believe that your privacy on the Internet is extremely important. For this reason, AMERICAN TINY HOUSE does not trade, sell or rent personal information collected about you to any third parties. What information does AMERICAN TINY HOUSE collect and how does AMERICAN TINY HOUSE use this information? During your visit to our web site, you are under no obligation to provide any personal information to AMERICAN TINY HOUSE. • We may request personal information from you which may include your name, address, e-mail address, telephone number, etc., as well as information related to customer satisfaction surveys, consumer purchasing habits and other purchasing information. This information is used by AMERICAN TINY HOUSE to communicate and market our products to our customers, to understand customer buying behavior, and to conduct product research. • We may conduct promotional sweepstakes or other contests on our web site, which require certain personal information for participation in the promotion or contest. This information is used to contact the winners and for other marketing purposes. • In an effort to continually improve our products and services, we will periodically contact our customers in order to conduct AMERICAN TINY HOUSE market research and online surveys. This may involve contacting recent and/or past AMERICAN TINY HOUSE web site visitors who have provided personal information to AMERICAN TINY HOUSE. • AMERICAN TINY HOUSE company may run “opt-in” e-mail campaigns and newsletters. 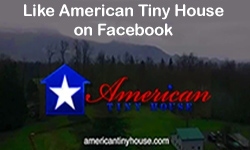 Information that you have provided in your registration and information given through participation in online promotions may be used by AMERICAN TINY HOUSE.com to further customize the content of the e-mail promotions that you have “opted in” to receive. • Our web servers may automatically monitor the number of visitors, the average time spent on the site, the popularity of our web-sites, and any programming errors or failures on any of our web sites in order to determine the effectiveness of the AMERICAN TINY HOUSE web sites. • Please note that AMERICAN TINY HOUSE will fully cooperate with any court order or other legal process and will provide your personal information to the extent required in any legal proceeding. Does AMERICAN TINY HOUSE share your information with other third parties? • AMERICAN TINY HOUSE will not share your e-mail address or personal information with any other parties without your prior consent; however, we may share personal information with our business partners in order to service, repair, or fulfill your AMERICAN TINY HOUSE product requests. • AMERICAN TINY HOUSE may share aggregate data about our sales, customers, traffic patterns, and other related site information with respectable third parties. None of this data is related to any individual’s name without their consent. How do I unsubscribe from email campaigns or change my personal information? What is the policy regarding AMERICAN TINY HOUSE’s ownership of information? • Your opinions and ideas are important to the success and improvement at AMERICAN TINY HOUSE. Should you choose to submit an opinion, idea, or suggestion thtrough our web site, you agree to allow AMERICAN TINY HOUSE to use that feedback without restriction and free of charge. In instances such as online product research, you may be asked to agree to terms of a AMERICAN TINY HOUSE prepared consent form related to the provision of such information. What about AMERICAN TINY HOUSE’s links to other sites? • We may add external links to other related web sites that we believe are consistent with the AMERICAN TINY HOUSE brand and our customer interests. We certainly try to link to web sites that maintain the same high regard for privacy on the internet as we do; however, we are not responsible for the content that may be on such linked sites. Additionally, the existence of any external link does not suggest that AMERICAN TINY HOUSE endorses the linked company, product or service. • AMERICAN TINY HOUSE may change this policy from time to time to better serve you, so please review this policy periodically. How do I contact AMERICAN TINY HOUSE regarding this policy statement? • If you feel that we have not substantially maintained the above policy or if you have any concerns about our policy, please contact AMERICANTINYHOUSE.com webmaster and we will promptly evaluate the situation.